Michael Mizma completed his BM in percussion performance at SUNY Potsdam in 1987, and a Master’s Degree in percussion performance from the University of Illinois at Urbana-Champaign in 1989. After obtaining his Master’s Michael began working at San Jacinto College in Pasadena, TX. His current teaching duties at San Jacinto include Percussion, Steel Band, Audio Engineering, MIDI, Music Business, and Music Theory. Michael has also taught Music Appreciation, Jazz Combo, Afro-Cuban combo and even Class Piano. Michael travels to the local high schools giving clinics. In the summer of 2008, he went to Seoul, Korea and gave a weeklong session of master classes and performances in jazz performance and drumset. 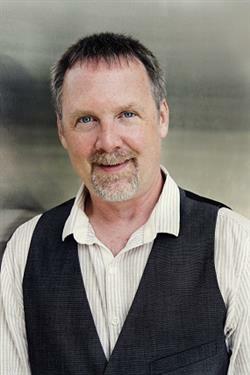 In addition to teaching, Michael maintains a very busy performing career in and around the Houston metropolitan area. Areas of specialty include jazz vibraphone, steel pan, drumset, marimba Lumina (electronic mallet controller), tabla, congas, timbales, pandeiro, tamborim, tan tan, all concert percussion, timpani and many others. Michael also is a life-long learner, who recently traveled to Brazil to study pandeiro, tamborim and tan tan. He also has studied with tabla great, Pandit Sharda Sahai. Michael is the founder of the Caribbean Jazz group “Tropic Envoy,” and is the president of Funnynotes, Inc. His affiliations are the Percussive Arts Society, and American Federation of Musicians. He also plays an active role in recording, mixing and engineering. Michael’s most recent project, “Samba Nova,” he performed, produced, recorded and mixed the entire CD.